Tuition Information for online bachelor and master degrees. 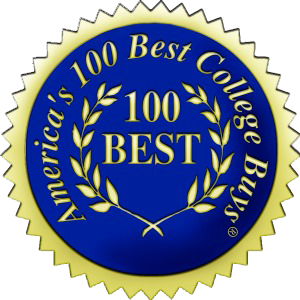 Belhaven is one of only a 100 universities in the country that received the distinction of America's 100 Best College Buys. This is the 11th consecutive year Belhaven was recognized for its affordability and financial aid available to Belhaven students. Belhaven recognizes that cost is an important factor to be considered when evaluating an online degree program. For details about the costs associated with each of our accelerated degree programs, contact onlineadmission@belhaven.edu. These rates are for August 1, 2018 through July 31, 2019. Download the Tuition Cost Worksheet (PDF). There is a $25 non-refundable application fee. There is a $100 Graduation Audit Fee associated with all programs. There is a $75 technology fee per course. This fee is required of all students and helps to cover the cost of providing the technology and resources needed for success. The technology and resources include (but are not limited to), the online learning management system, Belhaven’s electronic library resources, student email, computer labs at the regional campus locations, web based tutorials, academic resources, online student communities, and campus and online technology upgrades. Books are not included in tuition. * There is a tuition discount for all Mississippi students in these programs. Belhaven University reserves the right to change the fees, tuition, rules, and calendar regulating admission and registration, instruction in, and graduation from the University, and to change any other regulation affecting the student body. Changes go into effect whenever the proper authorities so determine and apply not only to prospective students but also to those who at the time are enrolled in the University.